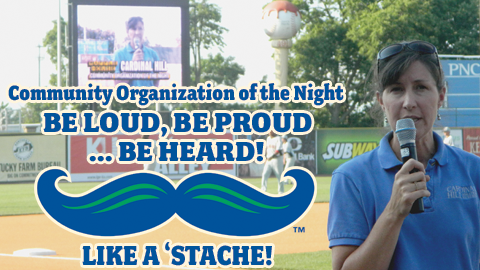 (WHITAKER BANK BALLPARK, Lexington, Ky.) The Lexington Legends are inviting non-profit organizations to participate in their Community Organization of the Night program during the 2013 season. "The Legends place a huge emphasis on being a strong community partner," said Legends General Manager Seth Poteat. "With that in mind, it's really the least we can do to open up our facility and allow 70 unique non-profit organizations the opportunity to spread their message and raise awareness among the thousands of Legends fans that come through our gates each year. " Organizations may set up a display on the concourse, where they can greet fans and distribute information. Before the game, a representative of each Community Organization of the Night is interviewed on the public address system. The representative also is a guest on the radio broadcast for a half-inning during the game. Each organization receives four complimentary tickets to their game. Solicitation is not permitted. The Legends have added a fund-raising element to the program for 2013. To maximize exposure and to boost fund-raising, organizations that reserve their night for a Thursday, Friday or Saturday game will purchase a minimum of 50 Legends fundraiser tickets at three dollars each. Fundraiser tickets may then be sold by the organization for up to the regular face value of nine dollars. "Each organization may keep the funds raised, which could be as much as six dollars per ticket sold," said Sarah Bosso, the Legends director of community relations and special events. "You'll have more supporters up in the stands, and you'll have a fun group out to enjoy a Legends game." 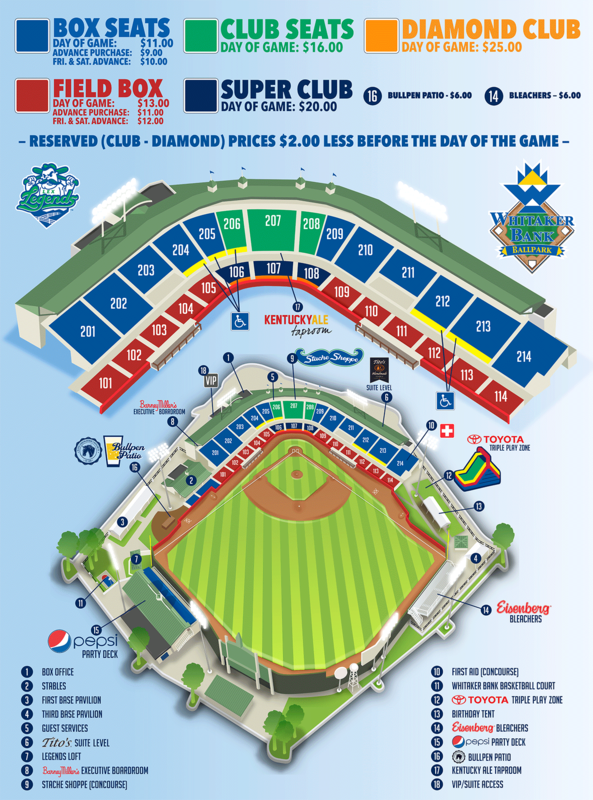 The Legends, a class A affiliate of the Kansas City Royals, will open their home season Monday, April 8 at 7:05 p.m. against the Asheville Tourists, an affiliate of the Colorado Rockies. More information is available at lexingtonlegends.com.